Stainless steel can be found almost anywhere as it is durable and does not collect corrode or rust. Whether it is the Chrysler building in New York or the pot in your kitchen, it is important to clean these objects. 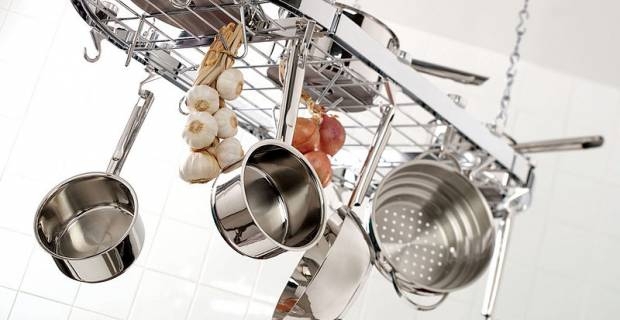 But what are the best tips on how to clean stainless steel? Here are a few quick and efficient ways to leave your sinks and stove tops sparkling and looking like new. One of the easiest ways to clean home appliances is by simply using basic glass cleaner. This removes the fingerprints that are commonly found on refrigerators, dishwashers, and pots and pans. With a quick clean, spray, and wipe, the surface should look streak free. Another option is to find vinegar from the pantry, fill a spray bottle, clean the surface, spray, and wipe with a soft cloth. Because of the acetic acid found in vinegar, oil from fingerprints will disappear once applied. An eco friendly way on how to clean stainless steel is to use sponge, baking soda, vinegar, lemon/orange peel, olive oil and paper towel. First rinse the sink, lightly sprinkle baking soda on the surface and then rub it in with a soft sponge. Rub the vinegar in which will help remove hard water stains and disinfect the area as well. To deodorize the smell and help keep the shine, take the orange or lemon peel and rub the skin against the basin of the sink. Then buff the surface with a lightly oiled paper towel. When cleaning, make sure to avoid using any brushes or steel wool that could leave scratches or rust. Only clean the steel when it is cool and do not use chlorine bleach or anything that contains chloride. Figuring out ways on how to clean stainless steel in the home is important, but it is just as important to do this regularly. Once you are done washing up, start getting in the habit of wiping down appliances with a soapy washcloth. Once wiped, rinse the washcloth and wipe again and then dry with a clean towel. Your appliances can never can be cleaned too often.